Robyn was awarded the Pet Safe Educator of the Year for 2011 by Pet Safe Coalition and is a certified Pet Tech Pet First Aid & CPR Instructor. 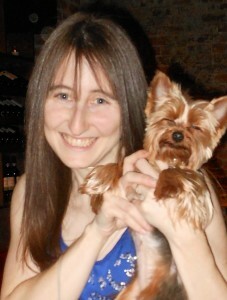 She offers Pet CPR & First Aid Classes throughout the tri-state area and has been teaching since 2007. Robyn is also a regular on News 12’s “Animal Island” – a Live weekly Long Island pet segment.